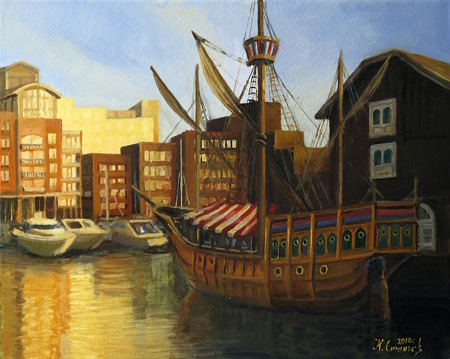 Second painting from the mini-series "Glimpses of The Boats Life" is added to section "Available pictures". Canvas named "Sight Beyond". 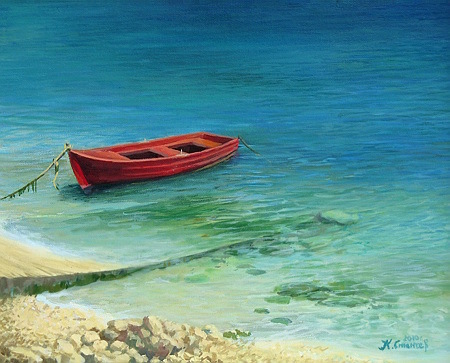 Painting "Meeting in Time" added to Gallery. Some places are full of energy - church near Tsarevo, standing on the sea-coast is one of them. 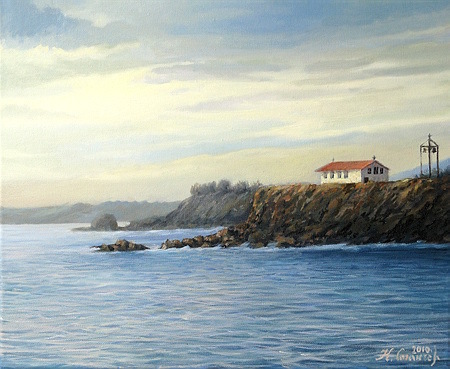 Painting "Morning Dreaming" added to Gallery. 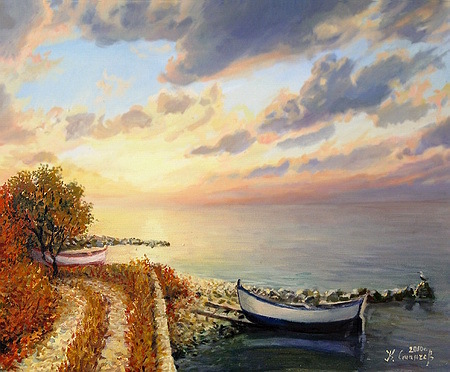 Wishing to all friends of kirilart.com more beautiful sunrises on the beach during the summer months. Relaxed and smiling week! The Last Picture from the past exhibition "The Stranger Walks in Europe" - canvas named "In The Gardens of Sans Souci" added. One of the most beautiful palace complexes with parks and gardens in Europe, at least from the ones I managed to visit so far. Located in the outskirts of Potsdam, near the capital city Berlin in Germany. Ornate facades, many fine statues, paths several kilometers long surrounded by beautiful gardens ... all of this must to be seen, I can not truthfully describe it. New Picture from the past exhibition "The Stranger Walks in Europe" - canvas named "Contrasting Colors" added. Perhaps a similar contrast in nature caused the creation of Impressionism as a trend, many years ago. Using clean, contrasting colors in one canvas, creating shapes with one main color, surrounded by dense loop ... I think all this has occurred naturally after observation of the greatest artist in the history of art – The Nature. 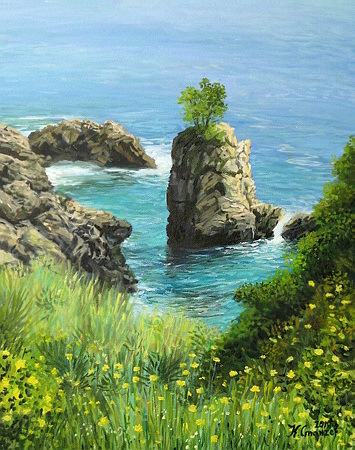 I represented on the canvas small bay at the western end on the island of Corfu, Greece. 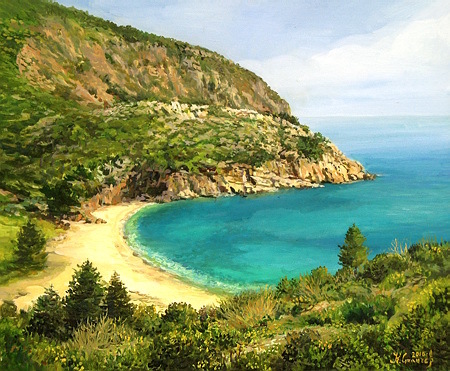 New Picture from the present exibition "The Stranger Walks in Europe" - canvas named "Thassos Island" added. Agios Ioannis - One of the more secluded beaches in the south of the island and one of the most beautiful ones. It is often skiped by the tourists because of the rocky bottom of the sea, but became even more fascinating for lovers of pure nature. In the past there was an ancient port, so in the present the bay is often a subject of study by archaeologists. 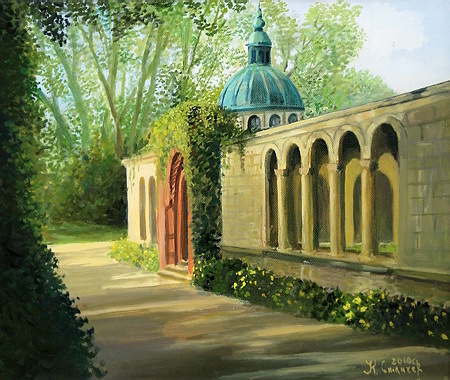 New Picture from the present exibition "The Stranger Walks in Europe" - canvas named "Schoenbrunn – The Palace Gardens" added. Alley in the spacious hunting court Schoenbrunn in the outskirts of Vienna. 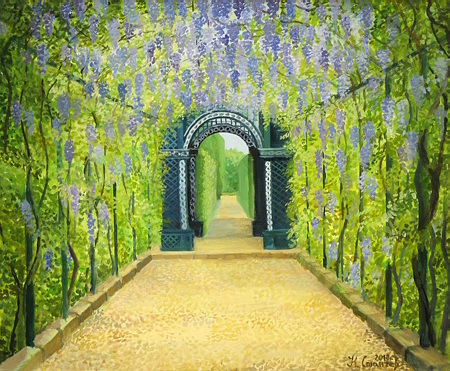 Arches are decorated with the popular even in our country blue Wisteria. The plant is very beautiful, with its stems reaching 15 meters length and its purple-blue clusters of flowers are often longer than half a meter. New Picture from the present exibition "The Stranger Walks in Europe" - canvas named "Berlin – Chinese Garden" added. 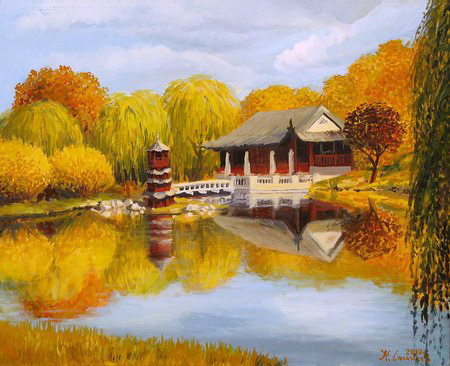 Since the first steps in the “Gardens of the World" in the German capital, a person is transferred consistently in the most remote corners of the world, immersed in an atmosphere of the traditional China, Korea, Bali, Japan ... the canvas is presenting a part of the Chinese garden - the lake in the park with a typical tea house sitting on the shore. 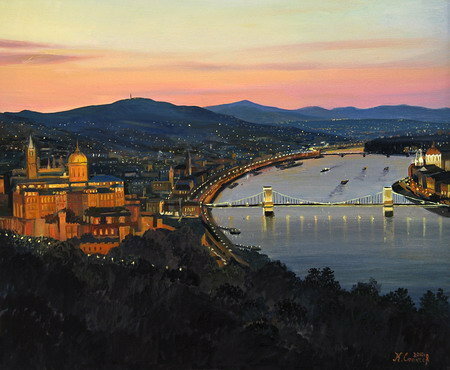 New Picture from the present exibition "The Stranger Walks in Europe" - canvas named "Old Budapest" added. Todays Budapest consists of two separate cities in the past - Buda and Pest, respectively situated on both banks of the Danube. The canvas represents a view from the citadel of the city on the west bank of the river. You can see the Castle, Fisherman’s bastion, historic bridge over the river and the Parliament building. 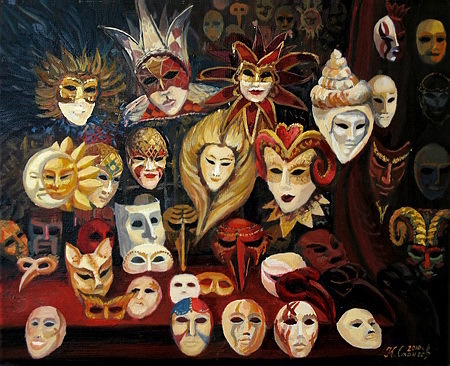 New Picture from the upcoming exibition "The Stranger Walks in Europe" - canvas named "Venetian masks" added. Venetian masks appear as a tradition centuries ago, over the time their popularity decline, while in modern times it was revived by the tourists for a new life. There are many types of masks covering the entire face or just the eyes. One of the most interesting is the "plague doctor" with the characteristic long beak, which, as described in the past was to prevent infection. New Picture from the upcoming exibition "The Stranger Walks in Europe" - canvas named "In the Bright Light of The Day" added. Ancient civilizations believed in the relationship of the human soul with olive stem. According to the legends of past times, if you touch an olive tree you'll remain bound with it for life. 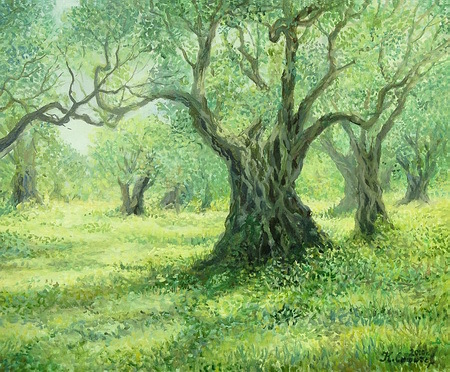 If you happen to find yourself today in an olive grove, as I did on the island of Thassos, which later I've reproduced on the canvas, you will feel like you've entered a strange but wonderful world. 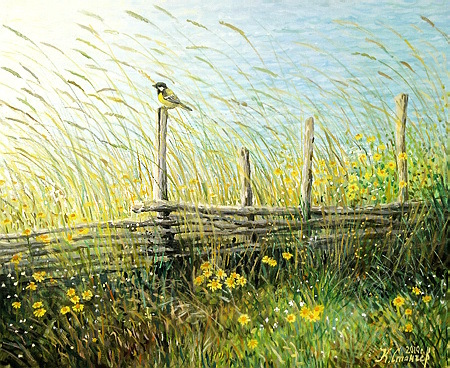 Will clearly hear the whisper of the grass, feel the presence of fairy creatures, give in to this strong connection with nature, just as our ancestors described it in their covenant to us. 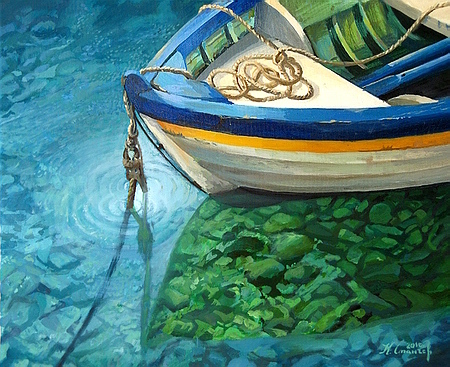 New Picture from the upcoming exibition "The Stranger Walks in Europe" - canvas named "Calm Harbour" added. One of the most pleasant places for an afternoon tea in London - docks "St. Katherine ". Enjoy the last rays of the sun caressing the water surface, while boats scurried about through the lock to the river, immerse yourself in the tranquility of this spot, just steps away from the clamor of Tower Bridge. New Picture from the upcoming exibition "The Stranger Walks in Europe" - canvas named "View From The Top of The World" added. When I climbed the last steps of the highest tower on the city wall in Dubrovnik, the view revealed before my eyes was so stunning that I immediately promised myself to come back again. 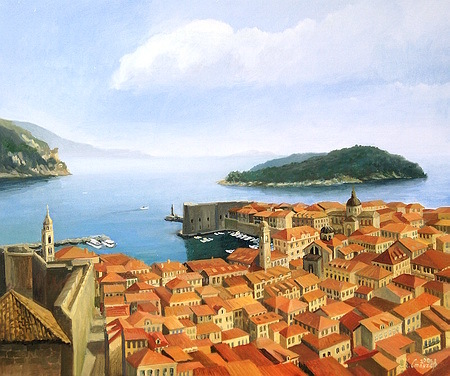 Now, working on this subject in front of the canvas, I've promised again that would go back to Dubrovnik someday. There is something very special in this place - intangible and yet amazingly charming. New Picture from the upcoming exibition "The Stranger Walks in Europe" - canvas named "Between Two Continents" added. 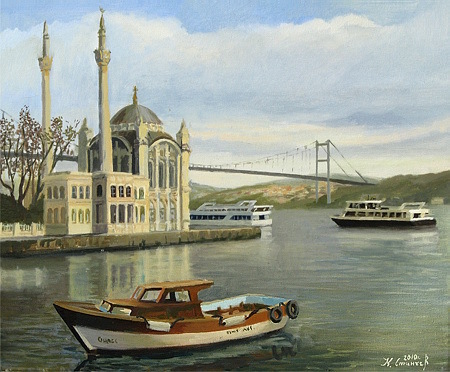 On the shore of the Bosphorus shyly looking over the bay is standing one of the most interesting as architecture mosques - Ortakoy. Built in the mid 19th century in Neo Baroque style, combining elements typical for the cathedrals, with traditional Oriental motifs.